Firaxis, the studio behind the Sid Meier's Civilization games, has confirmed that it has laid off "about 20 people" from various departments, including animators, programmers and designers. Firaxis Games was founded in 1996 by renowned industry veterans Sid Meier, Brian Reynolds and Jeff Briggs following their departure from Microprose. The studio has published a number of well-received games including Sid Meier's Alpha Centauri, Sid Meier's Pirates! and Sid Meier's Railroads, but it's probably best know for the Sid Meier's Civilization games. The studio is currently working on Sid Meier's Civilization V as well as a Facebook version of the game called Sid Meier's Civilization Network. "I can confirm that Firaxis has realigned its development resources in order to streamline its development process, reduce costs and maximize the overall performance the studio," 2K Games Global Public Relations Director Markus Wilding told Kotaku, slathering on a triple-thick layer of greasy PR-speak. "This will result in the elimination of approximately 20 positions. These reductions will not impact Firaxis' ability to create and deliver AAA titles, including its forthcoming Sid Meier's Civilization V and Sid Meier's Civilization Network for Facebook." Sid Meier was reportedly not among the 20 Firaxis employees to be cut. 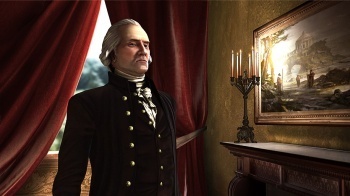 Sid Meier's Civilization V is set for release in September, exclusively for the PC.